It easy to get carried away in Network Marketing, never is this so true as when it comes to purchasing or generating leads. Before I start I want to point out that all Network Marketing leads however generated have a cost, there is no such thing as a free lead or as is often heard a free lunch. Whether you pay with cold hard cash or whether you pay with time in generating leads has some sort of cost. Once you have established the fact that there is a cost you then need to decide on a budget, whether that be three hours a week generating them, or $50 a week buying them. All professional business people set a budget for every area of there business, so why is it that many Network Marketers fail to set a budget, probably because most Network Marketers are new to business. Having established a cost you are prepared to bear you should decide what results you are going to demand for your time and or money. But surely it’s about what you can get for your time and money I here you say, surely it should be the other way round. NO! nobody has ever made it in life by going to the market place and asking what it will give, they have always come up with want they want and demanded it until they got it, now sometimes it took some looking, but they new what they were looking for because they had a plan. So you know how much it is going to cost, and you know what you are expecting for your money, the next step is to make the best use of these leads. Lets assume like most people you manage to get 2% of these leads to join your program, what are you going to do with the rest? How much are you going to spend on leads that go nowhere? People are looking for a solution to a problem. They did not like your solution but they are still looking. Concentrate on building your list, having built a large network marketing leads bank do not be afraid to push a second or third proposal to the list after they have repeatedly ignored your first program. 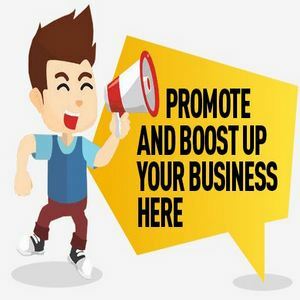 The trick is to cover as much of your advertising cost as you can so that you have more money to spend on more advertising for your primary business. A good way of covering advertising is to push additional programs or even tools to help, this is how many large corporations are built. If you want to build a large business, you need to think and operate like a large business. People who think of there Network Marketing business like a hobby usually get paid pocket money.